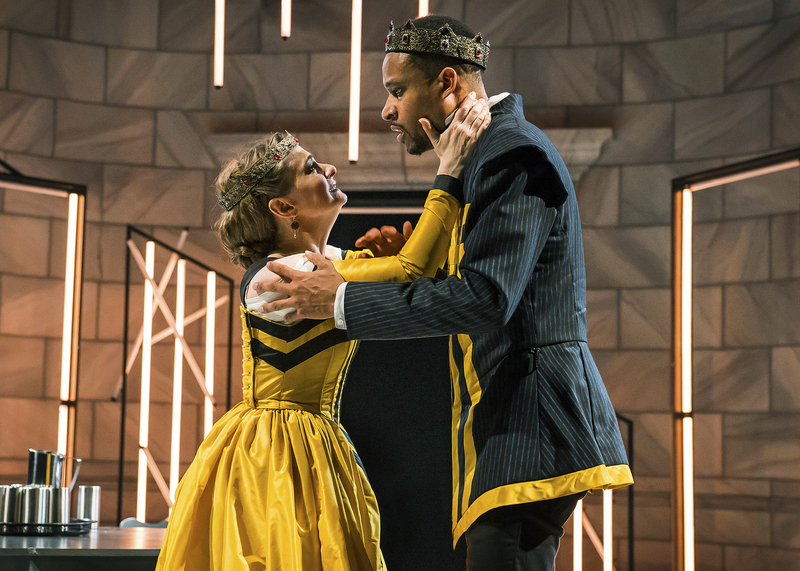 Lady Macbeth (Tiffany Scott) confronts Macbeth (Amir Abdullah) over his reluctance to take fate into his own hands in Chicago Shakespeare Theater’s production of Short Shakespeare! Macbeth, adapted and directed by Marti Lyons, presented for the public on Saturdays at 11:00 a.m., February 16–March 16, 2019. Photo by Liz Lauren. 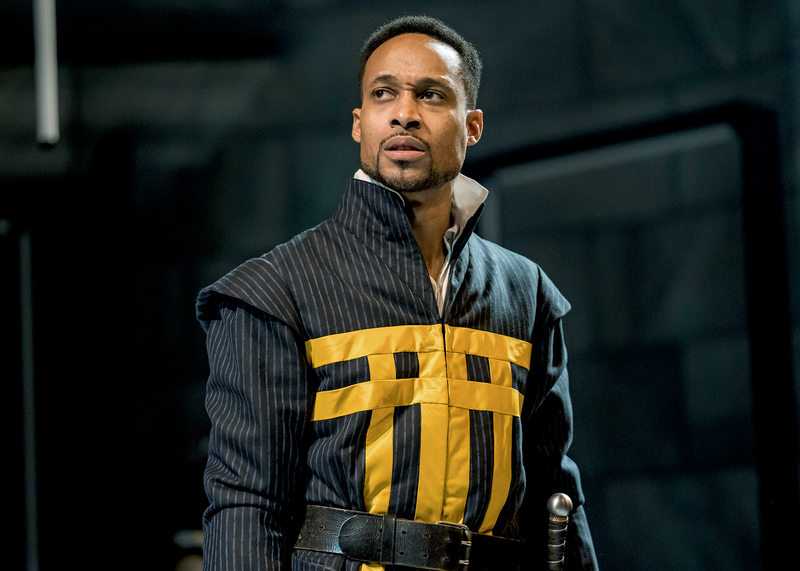 Macbeth (Amir Abdullah) in Chicago Shakespeare Theater’s production of Short Shakespeare! Macbeth, adapted and directed by Marti Lyons, presented for the public on Saturdays at 11:00 a.m., February 16–March 16, 2019. Photo by Liz Lauren. The Weyard Sisters (Caitlan Taylor, Caroline Chu, and Emma Ladji) in Chicago Shakespeare Theater’s production of Short Shakespeare! Macbeth, adapted and directed by Marti Lyons, presented for the public on Saturdays at 11:00 a.m., February 16–March 16, 2019. Photo by Liz Lauren. 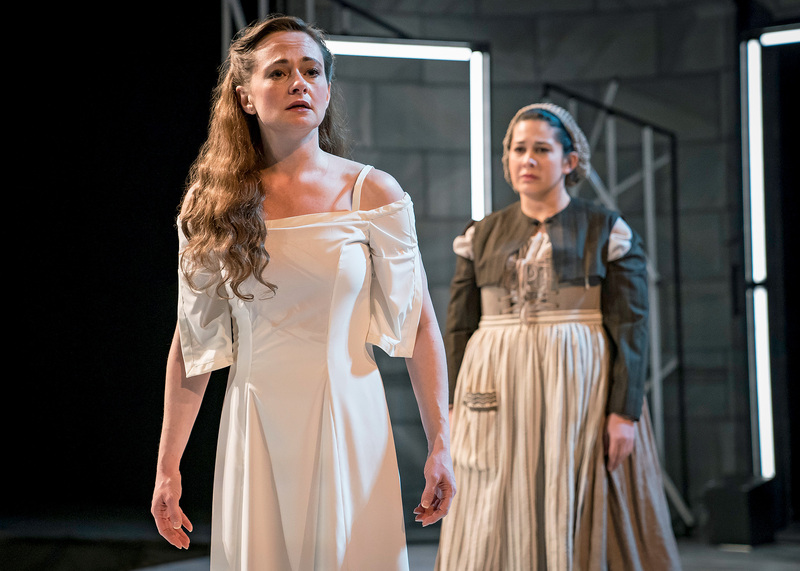 Lady Macbeth (Tiffany Scott) has troubling visions, as her attendant (Sadieh Rifai) observes, in Chicago Shakespeare Theater’s production of Short Shakespeare! 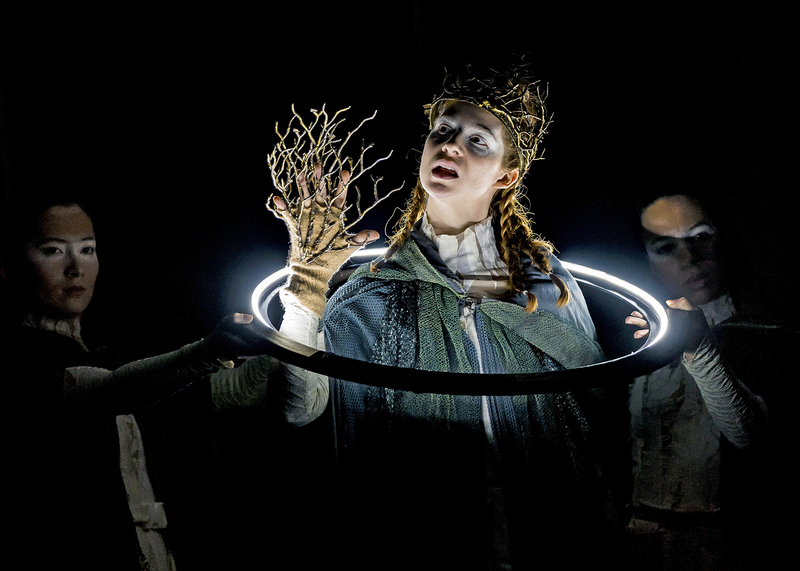 Macbeth, adapted and directed by Marti Lyons, presented for the public on Saturdays at 11:00 a.m., February 16–March 16, 2019. Photo by Liz Lauren. 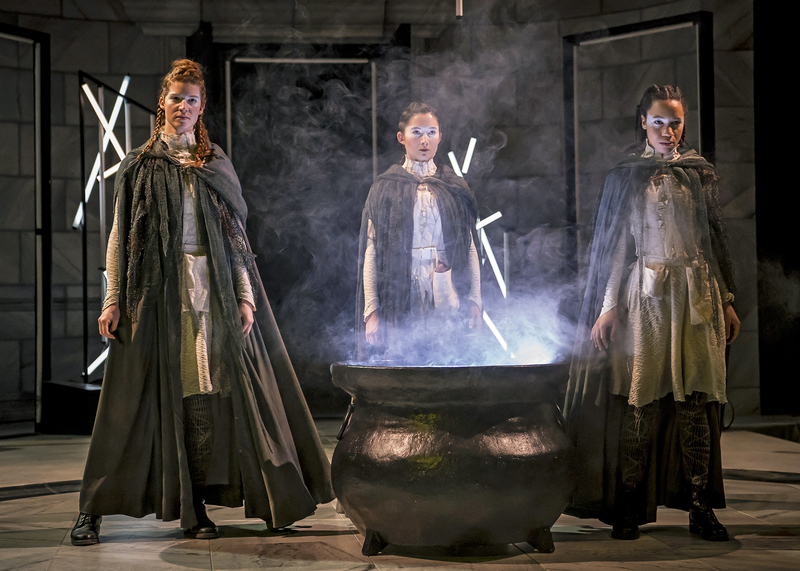 A Weyard Sister (Caitlan Taylor) emerges as an apparition summoned to deliver a prophecy to Macbeth as the Sisters (Caroline Chu and Emma Ladji) look on in Chicago Shakespeare Theater’s production of Short Shakespeare! Macbeth, adapted and directed by Marti Lyons, presented for the public on Saturdays at 11:00 a.m., February 16–March 16, 2019. Photo by Liz Lauren. 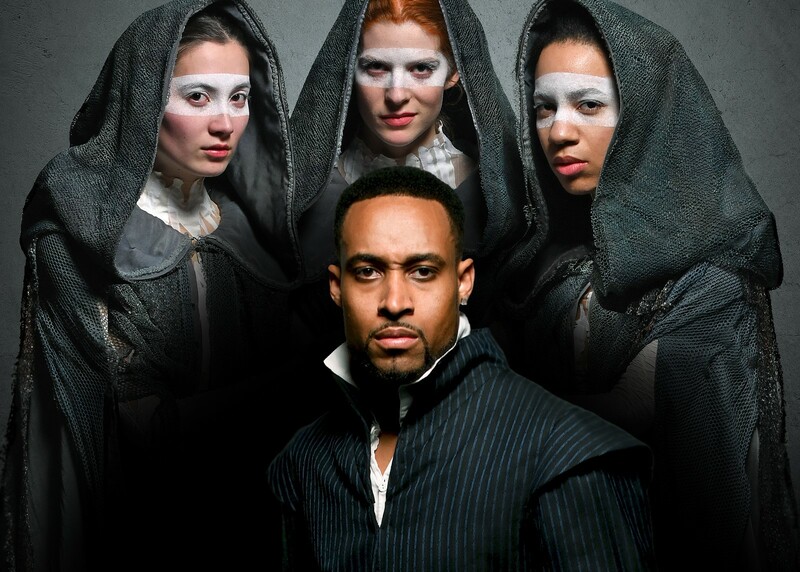 Amir Abdullah as Macbeth is surrounded by Caroline Chu, Caitlan Taylor and Emma Ladji as the Weyard Sisters in Chicago Shakespeare Theater’s production of Short Shakespeare! Macbeth, adapted and directed by Marti Lyons, presented for the public on Saturdays at 11:00 a.m., February 16–March 16, 2019. Photo by Michael Brosilow. The company of Chicago Shakespeare Theater’s production of Short Shakespeare! Macbeth, adapted and directed by Marti Lyons, presented for the public on Saturdays at 11:00 a.m., February 16–March 16, 2019. Photo courtesy of Chicago Shakespeare Theater. 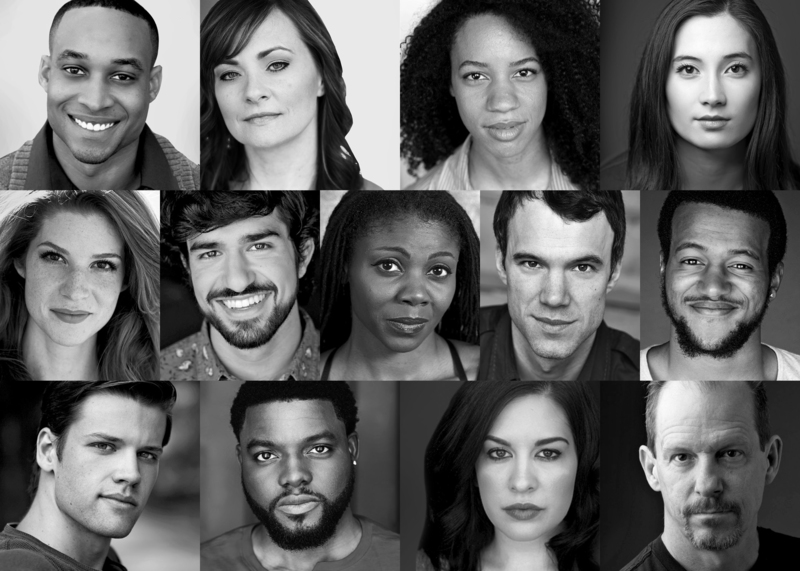 Pictured from left to right: Top row – Amir Abdullah, Tiffany Scott, Emma Ladji, Caroline Chu; Middle row – Caitlan Taylor, Ninos Baba, Leslie Ann Sheppard, Eric Parks, Cage Sebastian Pierre; Bottom row – Ty Fanning, Yao Dogbe, Sadieh Rifai, Kevin Theis.